Learn more about just some of the industries that Advanced Labeling Solutions serves. 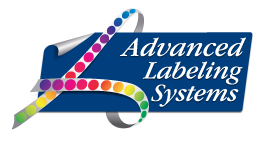 Advanced Labeling Systems is a dynamic label manufacturer serving locally and nationally-recognized companies across virtually all industries. Whether you are looking for a way to enhance your image, boost sales, monitor inventory, automate purchases or track distribution and shipping, we’ve got the right label for you. How many colors will your label have? How many labels will you need? How will your label be prepared?